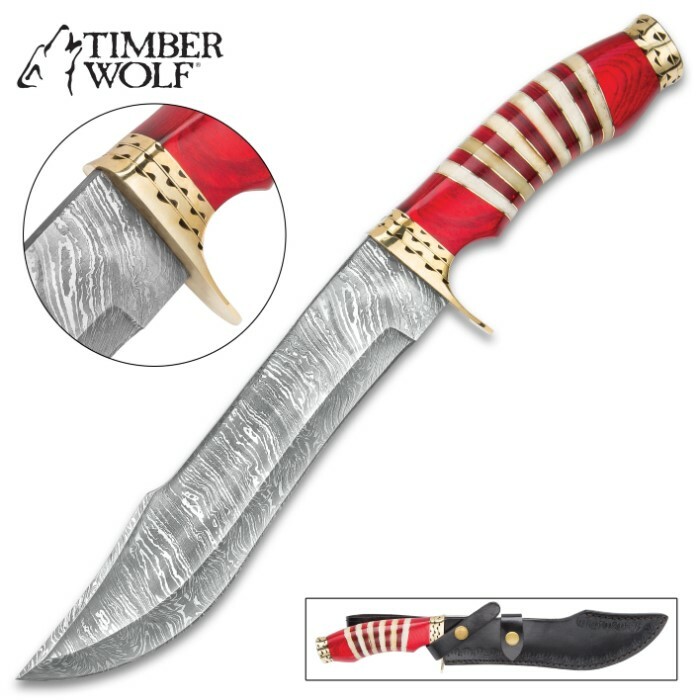 Timber Wolf Kilimanjaro Bowie Knife - Damascus Steel Blade, Buffalo Horn Handle, Brass Guard And Pommel - Length 14” | BUDK.com - Knives & Swords At The Lowest Prices! The Kilimanjaro Bowie Knife has a custom-commissioned, one-of-a-kind appearance, which continues Timber Wolf’s proud legacy of craftsmanship. 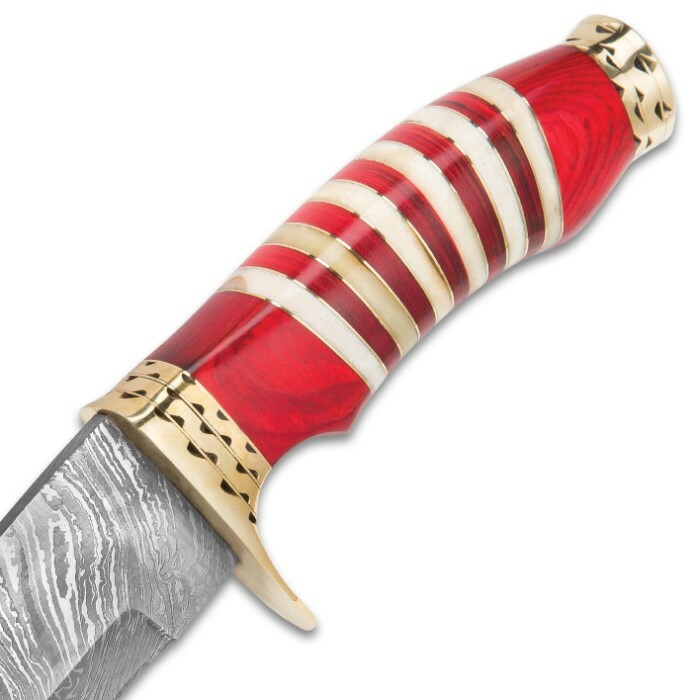 The 8 1/2” clip point blade is handcrafted Damascus steel with a uniquely designed fire pattern, which contrasts beautifully with the decoratively engraved brass pommel and guard. 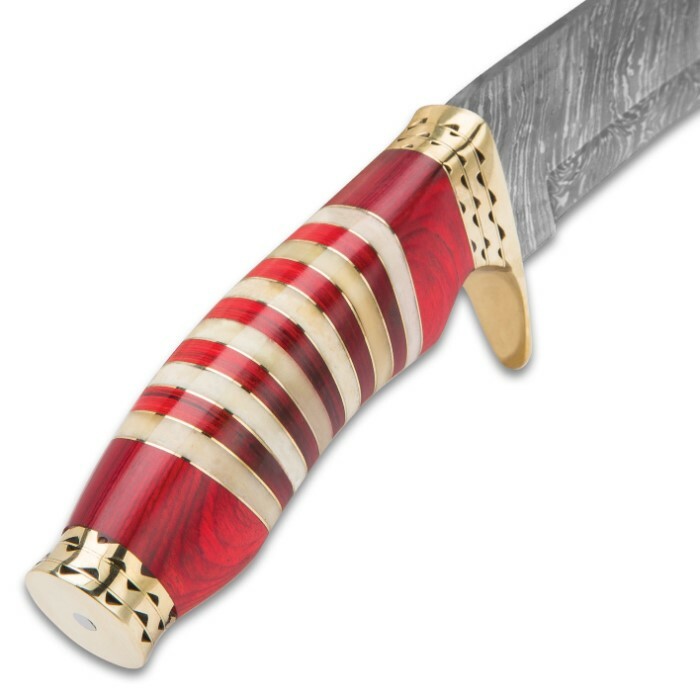 The uniquely curved handle is of a rich, red wood with milky buffalo horn inserts and brass spacers. 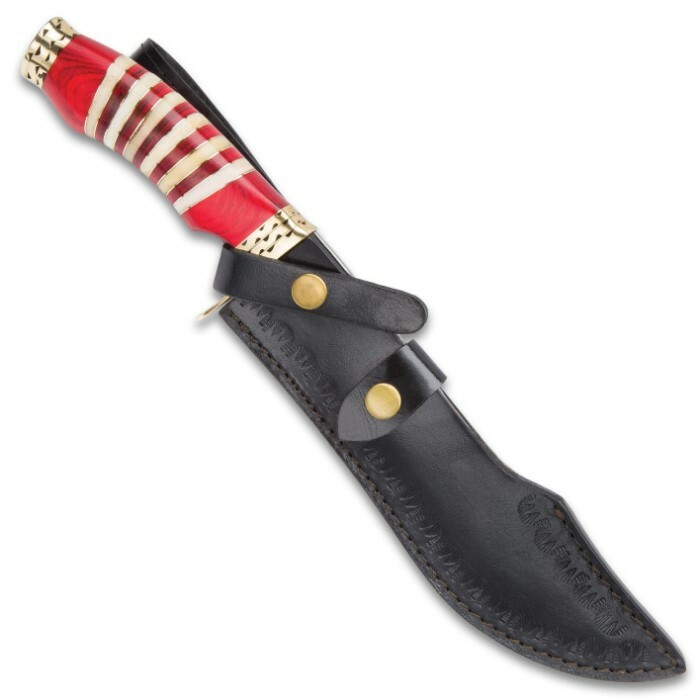 A premium embossed leather belt sheath with brass snap closures is included to protect the blade and offer an easy carrying option.